Schools in southern Israel were cancelled following the violence which threatened to escalate into a major conflict just two weeks before the Israeli elections. The fighting had subsided by morning, but the situation remained tense. Israeli troops massed on the Gaza frontier and imposed restrictions on civilian public gatherings after dozens of rockets were fired toward communities in the area, including one that struck a house in the town of Sderot. Overnight, the Israeli air force pounded militant sites of Gaza's Hamas rulers and the smaller Islamic Jihad group. The targets included a multi-storey building in Gaza City which Israel said had served as a Hamas military intelligence headquarters and the office of Hamas leader Ismail Haniyeh. Gaza's health ministry said seven Palestinians were wounded in the air-strikes. Mr Netanyahu went straight to military headquarters in Tel Aviv for consultations on the next steps. He faces the difficult task of delivering a tough blow to Hamas while avoiding protracted fighting which could work against him on election day. He has conducted indirect ceasefire talks through Egyptian mediators in recent months, and even allowed the delivery of millions of dollars of Qatari aid to Hamas to ease harsh conditions in the territory, which has been under an Israeli-Egyptian blockade since Hamas seized power in 2007. 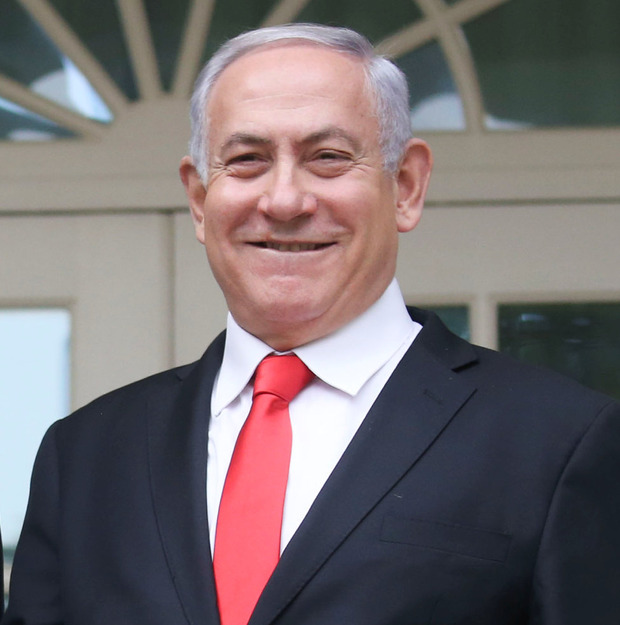 After a meeting with US President Donald Trump, Mr Netanyahu indicated the election would not deter him from acting. "We have responded very, very forcefully. Hamas needs to know that we will not hesitate to go in and take all necessary steps - regardless of anything, any date, other than Israel's security needs," he said. The cross-border fighting was triggered by a surprise rocket fired early on Monday from Gaza which slammed into a house in central Israel and wounded seven people. Israeli military said it was a locally made rocket with a range of 120km, making it one of the deepest strikes ever carried out by Hamas. The military mobilised two armour and infantry brigades and drafted reserve forces before striking back at militant sites in Gaza. Gaza's Hamas rulers announced later in the day that Egyptian mediators had brokered a ceasefire but the firing continued overnight before calm appeared to return early yesterday. The fighting set the stage for the most serious conflict since a war in 2014. But with no fatalities reported on either side yet, and the quiet holding for the moment, it seemed possible the two sides would step back from the brink once again. Two weeks ago, rockets were fired from Gaza toward Israel's densely populated commercial capital of Tel Aviv, and the Israeli military struck back. Gaza's Hamas leaders said the rocket fire was accidental and the fighting quickly subsided. Israel and Hamas have fought three wars in the last decade. Although neither side appears to have an interest in another war, fighting could easily spin out of control.